A special live gameplay broadcast featuring the finalists for its Day of Infamy map contest, sponsored by Gamebanana, Mapcore, and Corsair. The livestream can be viewed at Twitch.tv/NewWorld this Sunday, Jan. 15 at 12 p.m. EST. From entrenched shores to battered streets, Day of Infamy takes the player into intense close-quarters WWII infantry combat. What started out as an Insurgency mod has transformed into a full-fledged standalone game built with Source Engine. Inspired by Day of Defeat, Day of Infamy builds off the atmosphere and nostalgia of this classic experience, but adds more visceral and intense core infantry mechanics. 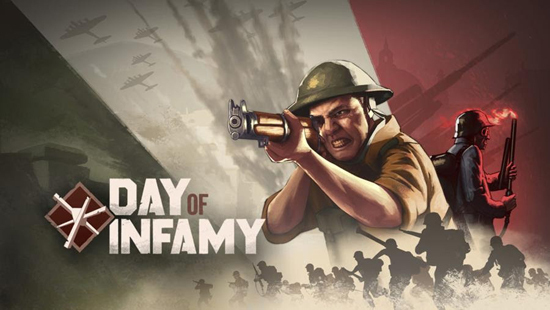 Day of Infamy is currently available in Early Access for $19.99 on Steam for PC and Mac.